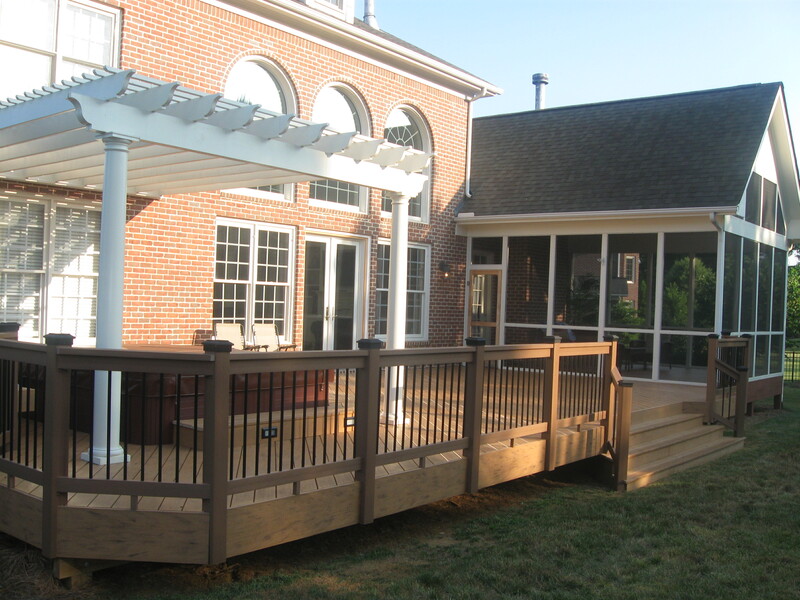 Archadeck of Raleigh-Durham is your premiere choice for deck design and construction in Raleigh, Durham, Chapel Hill, Cary and the surrounding areas. Having built more than 7,000 projects, we pride ourselves on being true experts in custom-designed outdoor living spaces. It is our mission to provide clients with the highest level of customer service and leave them with an outdoor project that will be the envy of neighbors and friends. Drawing upon a wide variety of material options, we can create a beautiful deck that is high on design, low on maintenance, and that lasts for many years to come. 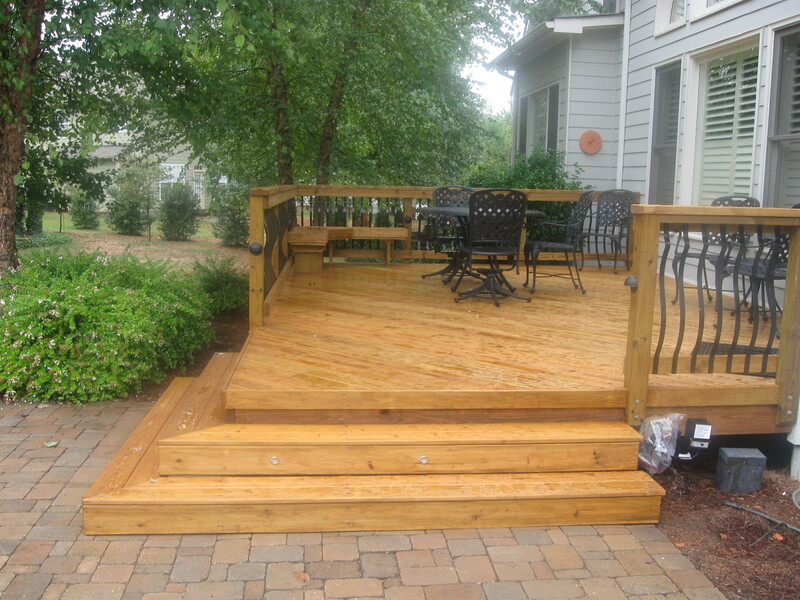 We are the best choice in Raleigh deck builders. 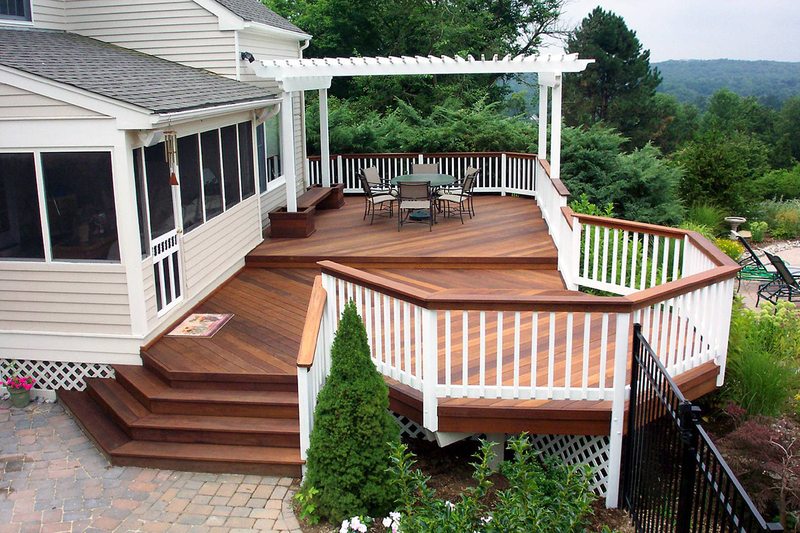 You can’t go wrong with a traditional wood deck from Archadeck of Raleigh-Durham. Typically constructed using pressure-treated southern yellow pine, our wood decks are constructed with the highest quality craftsmanship and lumber currently available. Pressure-treated lumber comes in a variety of different “grades” and chemical treatment, which our designers will walk you through so you can make an informed decision on which will best fit your needs. Wooden decks are by far the most common built outdoor structures in the Raleigh, Durham, and Chapel Hill areas. The lower cost of materials and ease of installation make them a great option for homeowners. One thing to keep in mind with wood decks is that, although the lumber is treated against rot, they still require regular cleaning, staining, and sealing to ensure a beautiful look for many years to come. Some homeowners want a new deck that will last them for many years without all the labor and work of maintaining a traditional wood deck. To achieve this, we recommend Timbertech’s wide variety of composite and PVC decking options, which typically boast a 25-year to lifetime-warranty. Composite and PVC decking have come a long way since first being introduced over a decade ago. The newest products feature PVC coatings, which come in a wide variety of colors and are scratch and fade resistant, to ensure your deck looks as great over time as it did when we first installed it. Complimentary railing and lighting options are also available in composite materials, so you can spend more time enjoying your deck and less time maintaining it. 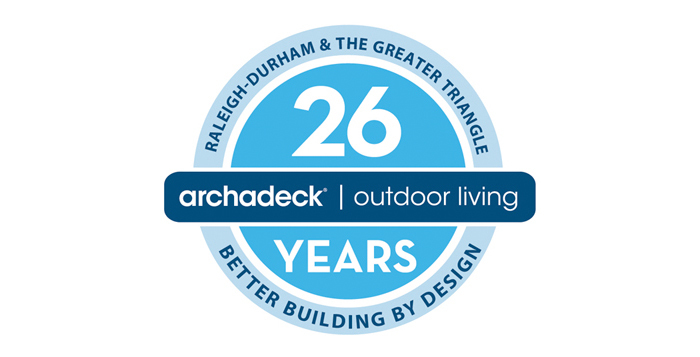 Whether we build you a deck that is small or large, raised or low-to-grade, composite or wood, at Archadeck of Raleigh-Durham we back our work with a 5-year structural and 1-year workmanship warranty. 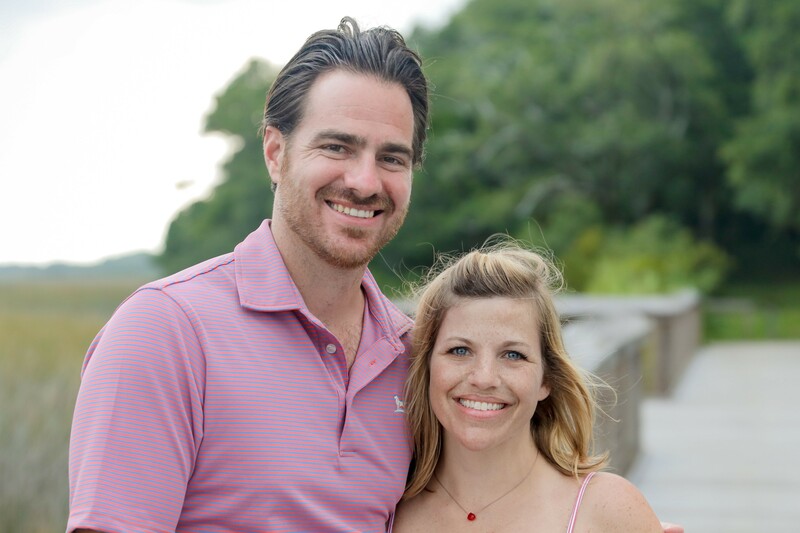 Every project – whether in Raleigh, Durham, Chapel Hill, Cary, or anywhere in between – is permitted through all required state and local officials to ensure everything was built with the best building practices. This is not a problem as Archadeck of Raleigh-Durham maintains strict standards for all of our building projects that exceed most of North Carolinas building codes. 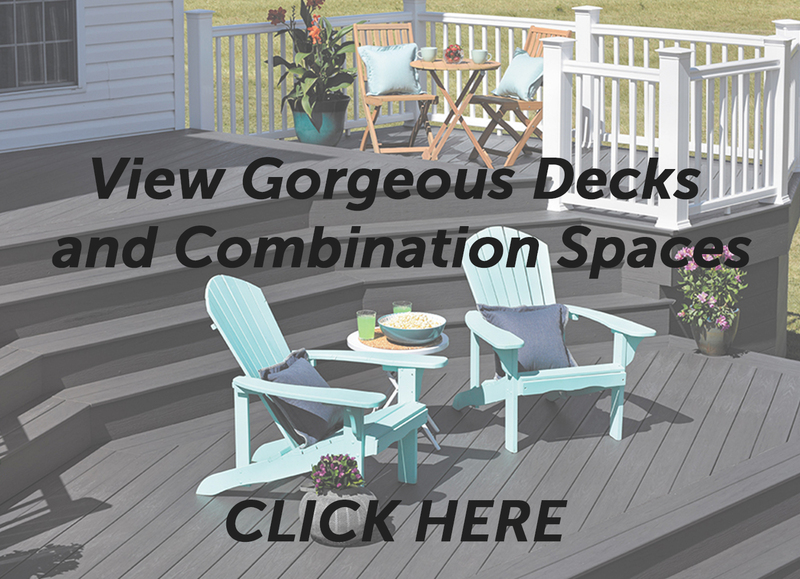 With our warranty, plus factory warranties on the materials, you can rest easy while enjoying your new deck. At Archadeck of Raleigh-Durham we take pride in our custom approach to deck building, always putting the homeowner first. Each deck design is created specifically to meet the function, design tastes and budgetary needs of the individual client. By focusing on your needs and your budget we can create a high-quality deck for your home without sacrificing design, structural integrity, or safety. Check out our gallery of decks in Raleigh-Durham for ideas and inspiration.